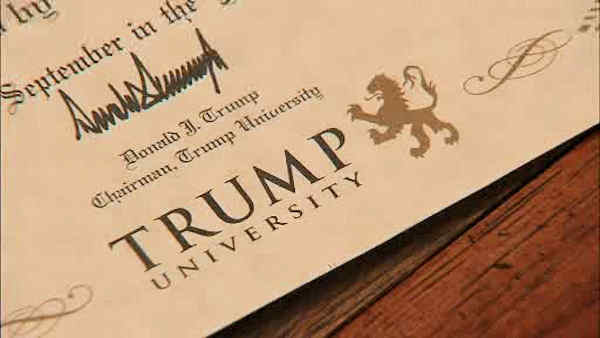 The New York Attorney General's case against Trump University will go to trial, New York County Supreme Court Judge Cynthia Kern ruled on Tuesday. A hearing failed to resolve the matter. Trump could testify at the trial, which could be held as soon as this fall. Attorney General Eric Schneiderman accused Trump and others of misleading thousands of students at the school. "I am very pleased the judge has indicated her intention to move as expeditiously as possible to trial, as thousands of Mr. Trump's alleged victims have been waiting years for relief from his fraud. We believe that Mr. Trump and Mr. Sexton will be essential witnesses at trial. As we will prove in court, Donald Trump and his sham for-profit college defrauded thousands of students out of millions of dollars," said Schneiderman in a written statement.